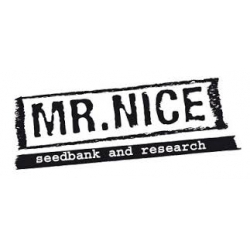 Mr Nice seedbank has been advocating the therapeutical values of cannabis for years. Throughout human history (since 2800 B.C. ), marijuana has been used as medicine. Cannabis is a goldmine: it produces up to 60 different cannabinoids and up to 200 different terpenes, a really unique cocktail of natural molecules that has been proven effective against Glaucoma, Epilepsy, Multiple sclerosis, Tourette syndrome, Rheumatoid arthritis, appetite stimulation and in pain therapy. Mr. Nice Es gibt 35 Artikel.